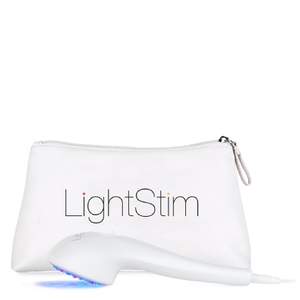 Erase Wrinkles naturally with LightStim for Wrinkles, a handheld non-invasive medical device used by professional spas, estheticians, and dermatologists. LightStim for Wrinkles is FDA cleared to treat wrinkles on your entire face. 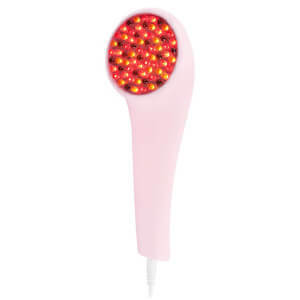 This beauty device stimulates the body's own natural production of collagen and elastin. Easy to use and good for all skin types and tones. Enjoy the soothing gentle warmth of therapeutic LEDS while watching TV, reading a book or simply daydreaming about your soon-to-be more youthful looking skin. 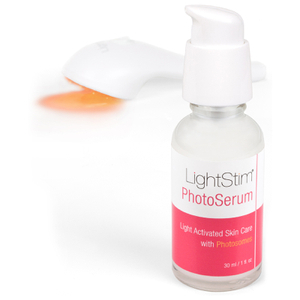 LightStim for Wrinkles is a "must-have" in your arsenal of skincare! LightStim's proprietary Multi-Wave technology takes skincare beyond where it has ever gone before, combining four therapeutic wavelengths of LED that penetrate the top layer of your skin to stimulate the natural production of collagen and elastin. Put that structure and volume back into your skin with LightStim, whether you are in your late 20's and 30's for prevention, or your 40's and up for wrinkle reduction. 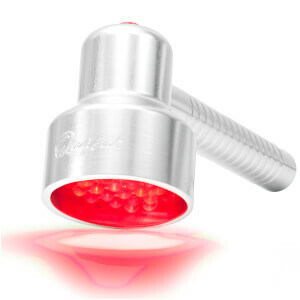 LightStim LED Light Therapy is the most effective and affordable technology for achieving healthy and youthful skin. It is soothing, painless, and can be used on all skin types to diminish fine lines and wrinkles. In just minutes a day you can firm aged or tired skin, reduce the appearance of pore size, smooth texture, increase elasticity and recapture your radiant glow. Includes a 30ml bottle of LightStim Collagen Peptide Serum, and a Beauty Bag ideal for daily storage and travel. Maintenance free. No cartridges, LEDS, or battery replacement costs. Five-year warranty. Designed to last a lifetime. Manufactured in the USA at the LightStim medical device-certified headquarters. Cleanse your face. If desired, apply LightStim Collagen Peptide Serum or your favorite anti-aging serum. Turn on the Light, place it gently touching your skin, and hold in place for about 3 minutes. Move the Light to a new area and repeat until you have treated all desired areas. It generally takes about 8 weeks to start to see the first signs of improvement, and continues thereafter. Once you have achieved your desired results, use two to three times weekly to maintain. Collagen Peptide Serum: Purified Water, Cyclomethicone, Sodium Hyaluronate, Glycerine Butylene Glycol, Water, Carbomer, Polysorbate-20, Palmitoyl Oligopeptide, Palmitoyl-Tetrapeptide-7, Saccharide Isomerate, Water, Pseudoalteromonas Ferment Extract, Hydrolyzed Wheat Protein, Hydrolyzed Soy Protein, Tripeptide-10 Citrulline, Tripeptide-1, Lecithin, Xanthan Gum, Carbomer, Triethanolamine, Butylene Glycol, Caprylyl Glycol, Oleth-10, Ergothioneine, Phenoxyethanol, Ethylhexylglycerin, Potassium Sorbate, Carbomer, Tromethamine. I am so in love with this. I received it 3 weeks ago and have used it every evening. My skin already has a beautiful glow to it as well as being softer. The best part of it is that is feels like a massage with the warm lights. My make-up goes on smoother and people have been asking me what I have been using to be so photo-ready already. Easy to use, and it is really helpful to wrinkles. I really like it. I hope it would help me with all my wrinkles.